This Collection is inspired by the film ‘The Edge of Tomorrow’ featuring Tom Cruise and Emily Blunt. 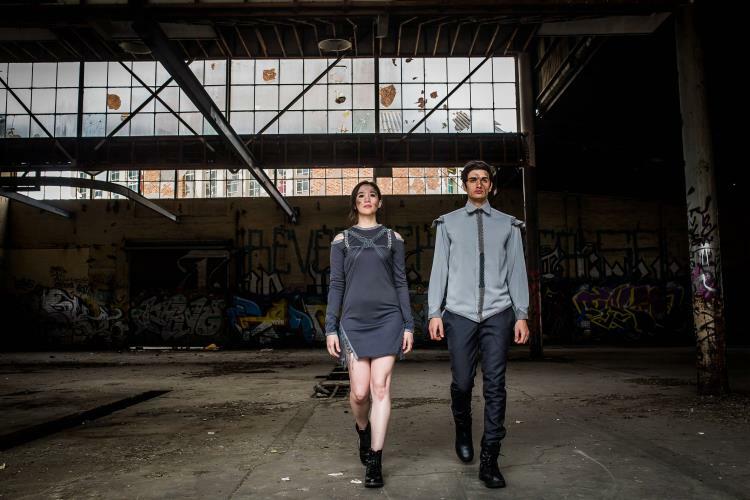 Capturing the essence of post-apocalyptic Europe and translates this into cutting edge fashion. Drawing inspiration from a variety of :landscapes, architecture, characters, garments within the plot. 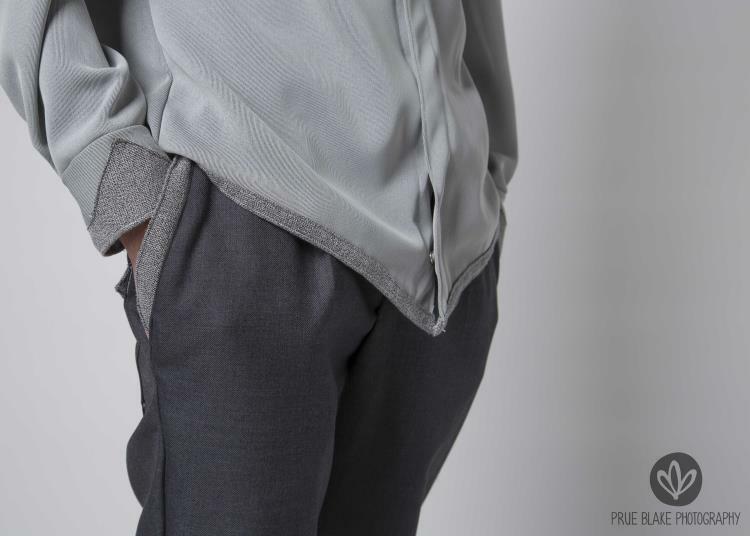 The collection has been designed to give the wearer a strong sense of self. Structure and shape are the main focus of this collection, with elements of designs mimicking the exo-suits shown so prominently in the film. Textures from walls and patterns of the alien invaders have heavily influenced the collection and are key elements in the unique and interesting feel. Macrame and the chainmaille is all done by hand. The textural feel of these elements and traditional hand craft further portray the atmosphere and genre of the film and the characters. This trans-seasonal collection, unique in its approach, communicates individual style for the strong at heart. This piece is a dual purpose piece that easily transforms from a dress to a top. This is the piece as a dress. It features handcrafted Macrame and Chainmaille by the designer: Mie-Mie Lee, as an accessory which is detachable. This is the close up detail of the No Courage Without Fear: Dual Purpose Dress and Top. 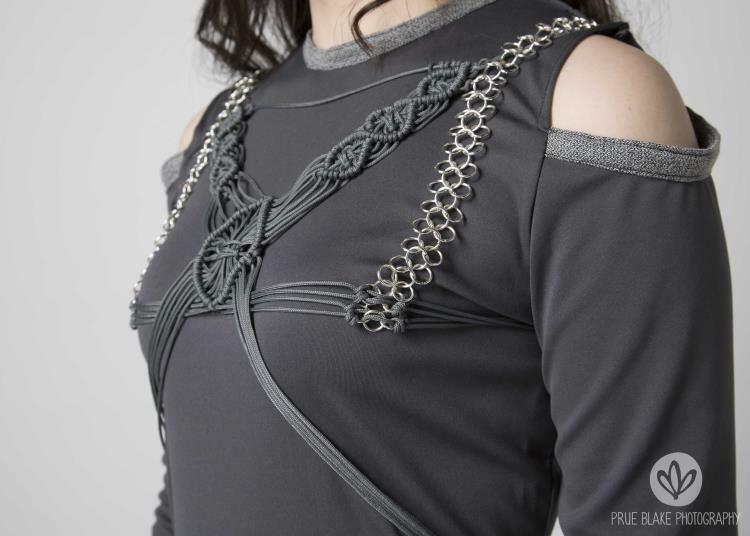 The chainmaille and macrame piece is a detachable feature to the dress and can be easily paired with other garments. Inspired by the detachable components of the XO suites in the film The Edge of Tomorrow. This is the side detail of the macrame on the side of the dress. This component is detachable as inspired by the elements of the film The Edge of Tomorrow. 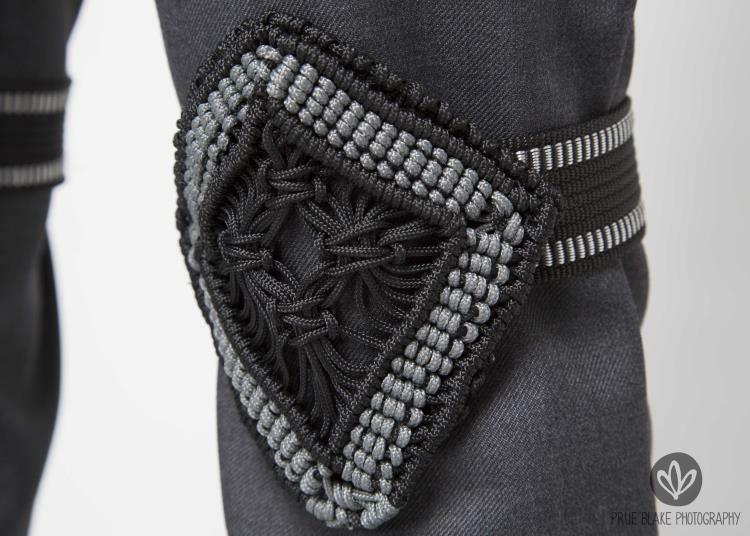 Macrame has been used as a detail to also portray the essence of the designer Mie-Mie Lee's aesthetic and love for traditional handcrafting techniques and combining it in a modern element. 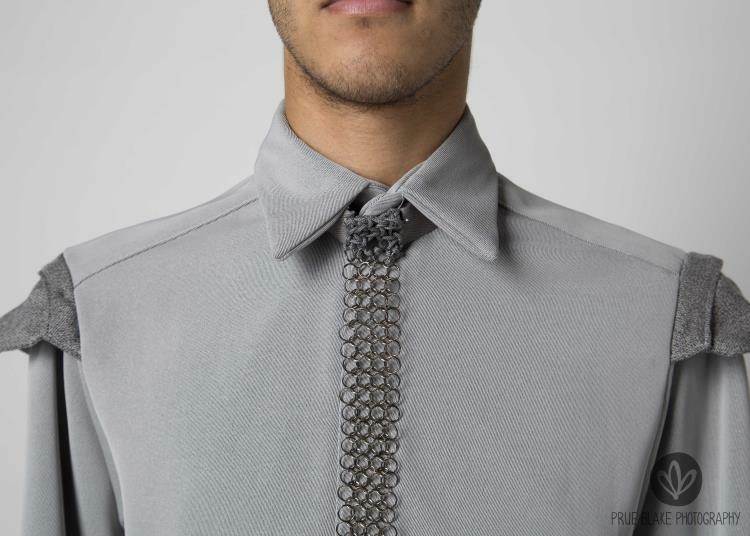 This outfit is a dual purpose piece with attachable elements which is featured in further images. This outfit is a dual purpose piece with attachable elements which is featured in further images. Detailed here is the detail of the Shirt.